3. Rotate to select ZONE, then press . The display shows the current zone number. 4. 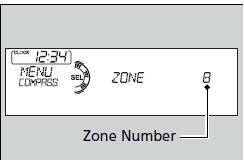 Rotate to select the zone number of your area (See Zone Map), then press . 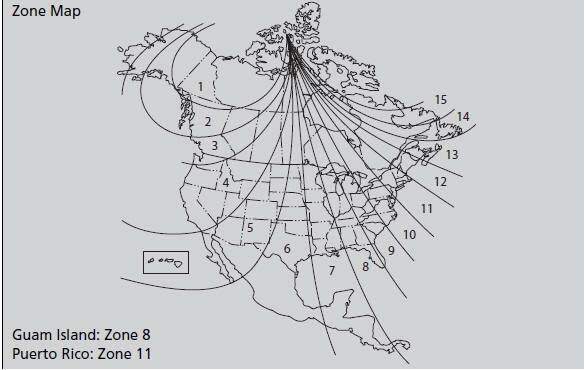 The zone selection is done to compensate the variation between magnetic north and true north. If the calibration starts while the audio system is in use, the display returns to normal after the calibration is completed.